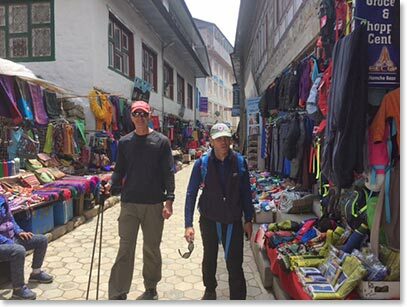 Namche is, and has always been, a market town. 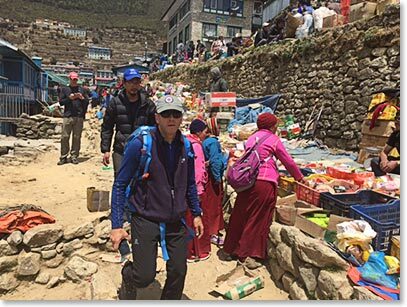 Mark at the site of the famous Namche Saturday market, where food and supplies are sold. 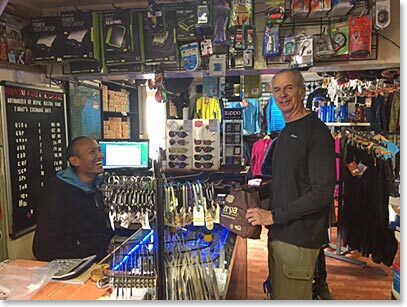 There are many shops in town that sell lots of other things – actually, anything you could image. 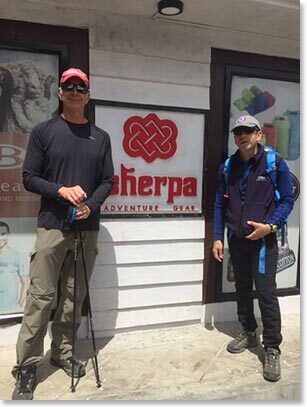 Sherpa Adventure Gear is a brand that is known worldwide now. 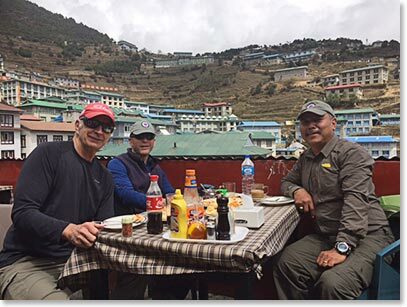 Chris, Mark and Ang Temba enjoy Pizza for lunch in Namche. 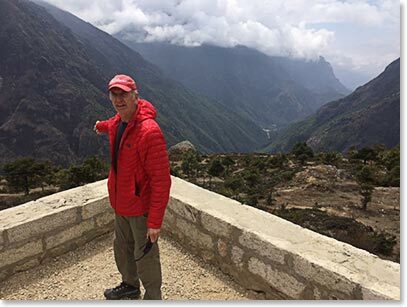 We can look down from Namche to the trails that led us from Phakding and Lukla far below. 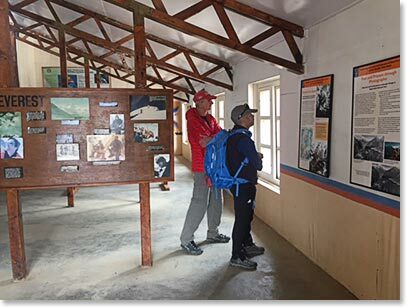 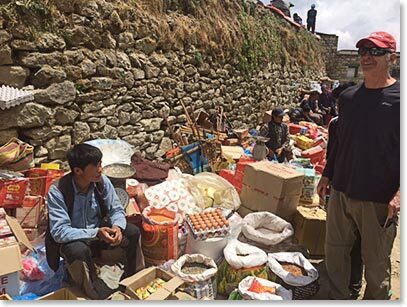 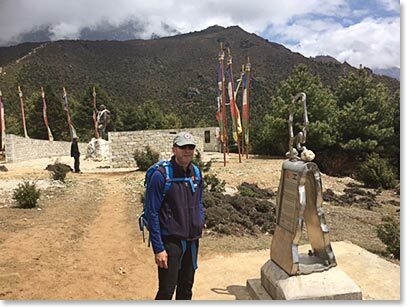 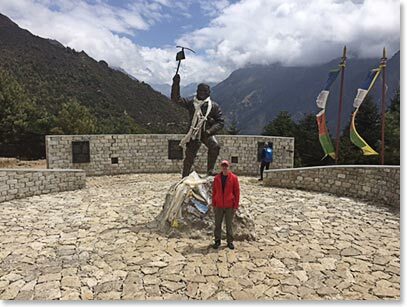 We visited the museum in Namche, to learn about Sherpas, local religion and climbing history.